We’re taking the week off because of the July Fourth holiday, but we’ll be back next week. Happy Independence Day! After intense negotiations, America’s Freedom Festival finally allowed four LGBTQ groups to participate in its annual July Fourth parade in downtown Provo. (Francisco Kjolseth | The Salt Lake Tribune) America's Freedom Festival Parade, in Provo, allowed four LGBTQ groups to participate for the first time on July 4, 2018. Arturo Fuentes, left, and Eliza Crofts join the group Encircle: LGBT+ Family & Youth Resource Center during the parade. 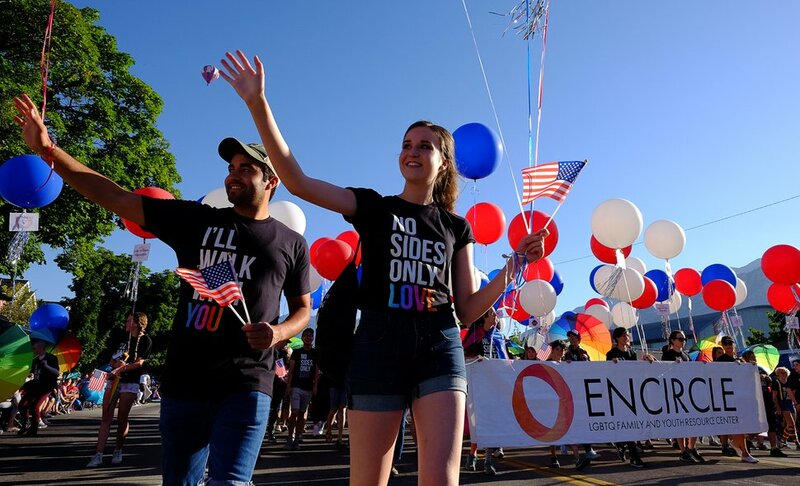 Supporters of Encircle, which operates a support center for LGBTQ teens, marched and sang the well-known LDS Primary song, “I’ll Walk with You,” PFLAG and Provo Pride carried a handmade quilt, and Mormons Building Bridges built a float honoring LGBTQ veterans. Mormons Building Bridges is looking for Mormons and former Mormons to march with them in the San Diego Pride parade later this month. It’s taken two years and dozens of researchers, but a new database documents every black person who joined the Mormon church between 1830 and 1930. So far, the effort has documented more than 200 black Mormons, with about 40 biographies complete with sources and photographs. Historian W. Paul Reeve unveiled the groundbreaking project during last weekend’s Black, White and Mormon II conference in Salt Lake City. In the first media interview since their appointments to the Quorum of the Twelve Apostles, Elders Gerrit W. Gong and Ulisses Soares honored their heritage but said they don’t represent any one ethnicity or demographic. Rather, they stand as representatives of Jesus Christ to the entire globe. Soares, 59, comes from Indian and Portuguese ancestry while Gong, 64, said he is “proud of being in the 34th generation from the first Gong” from his Chinese descent. 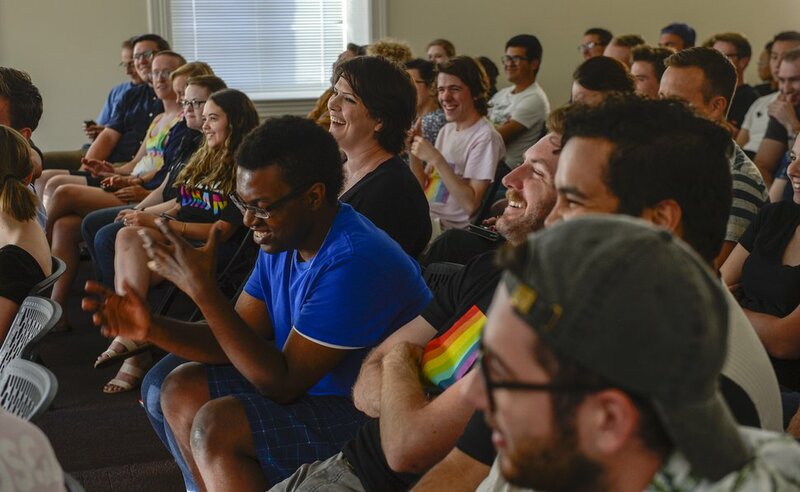 Organized in 2010, the Understanding Same Gender Attraction group has met every week for the past three years since it applied to be a student club at Brigham Young University, but it is still not officially recognized by the LDS-owned university. Leah Hogsten | The Salt Lake Tribune LGBT students at Brigham Young University meet at the Provo City Library, June 28, 2018 to hold open, respectful discussions on the topic of same-gender attraction. USGA is an organization for LGBT Brigham Young University students and their allies to discuss issues relating to homosexuality and the LDS Church. But after several meetings with and near-approvals by campus administrators, the club’s leaders believe this may be the year. The group’s 100 members meet nearly every week as support for gay, lesbian and transgender students at BYU. Mormon scripture proclaims the LDS Church is “the only true and living church upon the face of the whole earth,” but various Christian churches take issue with that notion. Christ Presbyterian Church in Magna will host a "respectful dialogue” between a former LDS bishop and a protestant author to discuss the assertion.